Your destination wedding is almost here, and you’re bursting with excitement. Thinking about what you’re going to wear on your wedding day is part of the fun, and the overall dress code of your event can be dictated by many things – your personal style, budget, formality of your venue, etc. While your Destination Wedding Specialist and onsite coordinator have relieved you of much of the planning details, your wedding day attire and guest’s dress code is completely up to you. You may be thinking how formal of a wedding do I want? 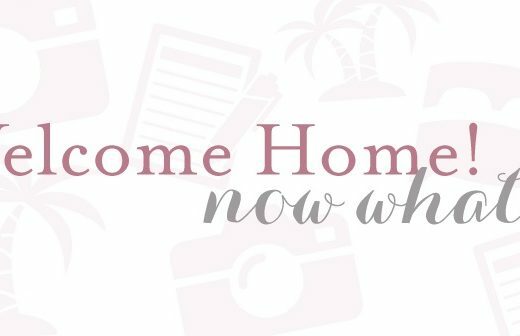 How do I travel with my wedding gown? What else should I pack for the trip? These decisions need not feel overwhelming; we’re here to break it all down for you with the ultimate guide to destination wedding attire. Versatility is the name of the game in destination wedding fashion. 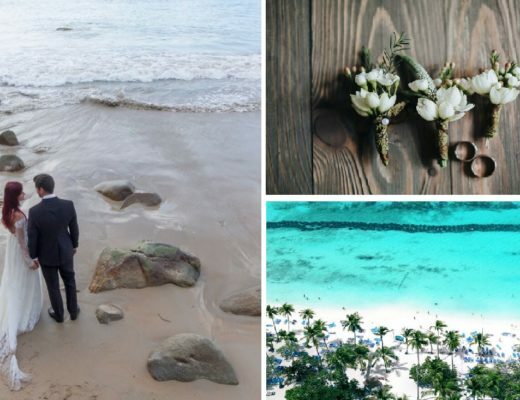 In addition to traditional gowns and tuxedos, brides and grooms can choose from a variety of casual options better suited to tying the knot in a tropical setting, especially if your celebration is on the beach! 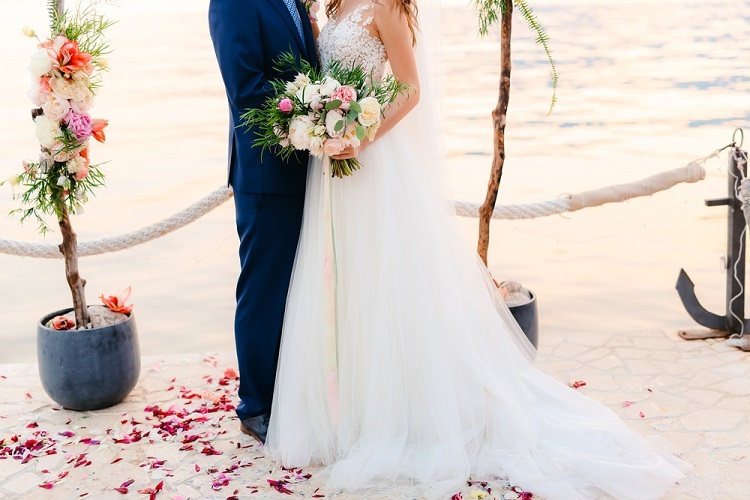 Below, we offer insight into the many types of outfits that might be included on your destination wedding packing list — along with tips for narrowing down your options and choosing the best look for your ceremony and reception. Barefoot beach vows are by no means a destination wedding requirement. Large celebrations frequently take place in elegant ballrooms or on vast rooftop terraces. These venues may call for a formal ballgown or black-tie tuxedo. 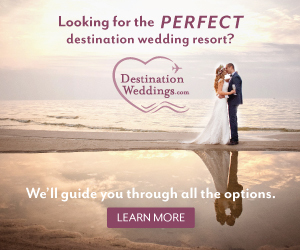 This is a great option for couples who want it all — the sophistication of an upscale wedding along with the beachy vibes of a destination event. And, if you’re someone who just can’t bear to think of their wedding day without a beautiful pair of high heels, fear not. With a ballroom or terrace venue, you can be free to rock the stilettos you’ve always dreamed of. If the mere thought of transporting formal wedding wear on a plane causes you stress, semi-formal may be a viable alternative. Casual enough to suit a beach wedding but dressy enough for an elegant affair, semi-formal is a top choice for many destination brides and grooms. Typically, a semi-formal approach involves trading tuxedos in for suits or even suit jackets with slacks. Rather than worrying about arranging for rentals, grooms and groomsmen may wear outfits they already own. Others go shopping in the hopes of re-using their wedding attire for future life events. For brides, semi-formal can be more difficult to define. Both short and long dresses are acceptable. Semi-formal wedding dresses may feature slightly less detail in regards to beading or lace, and tulle may be minimal, making it easier to pack and transport your gown. In general, a wedding dress transitions from formal to semi-formal when you can conceivably put it on and take it off all by yourself; formal gowns often require extensive assistance. If your idea of a dream wedding includes a barefoot ceremony on the beach, you’re the perfect candidate for a casual dress code. The only problem? Each couple (and guest for that matter) holds a dramatically different definition of ‘casual.’ Some prefer long pants and collared shirts, while others are perfectly happy to relax in shorts. Comfort is important, of course, but you’ll also want to select a flattering outfit that lends itself well to photos. Casual nuptials lend themselves well to knee-length or shorter wedding dresses, and this helps in more ways than one. A more casual wedding dress typically means less fabric and fewer intricacies within the dress details, making it easier to travel with. Lightweight, breathable material is also advisable for outdoor celebrations. Destination wedding shoes are also something to consider. Many couples opt to wear flip flops or even go completely barefoot! The barefoot sandals trend is a great way to have the best of both worlds! Take into account the type of aisle you’ll be walking down, too. Oftentimes, it’s recommended for high heels to be left at home, depending on the local terrain. When it comes to your destination wedding style, there really are no rules. Your outfit can be as traditional or unique as you desire. Depending on your wedding’s theme or setting, you might opt for something entirely unexpected. For example, some brides and grooms have actually conducted wedding ceremonies in the water or jumped in immediately after saying their vows. These couples may wear outfits that photograph well in water — or even opt for swimsuits. You may decide to incorporate the local traditions into your wedding day outfit. If you’re getting married in Hawaii, for example, a flowy tropical dress complete with an authentic lei might be exactly the look you’re going for. Don’t let convention hold you back; choose an ensemble that is meaningful to you and your sweetheart and let your personalities shine! Need more destination wedding inspiration? Check out our website and Pinterest! What you set as your destination wedding dress code will largely depend on the size and formality of your event. Typically, guests aim to dress slightly less formal than the couple of honor — nobody wants to upstage the bride! Cocktail dresses and button-up shirts with slacks are common; both are dressy enough to look classy in photos, but are also easy to transport. No matter your preferred level of formality, it’s important to communicate the dress code to wedding guests well in advance. Once they set foot on the plane, it may be too late to adjust their selected attire. Many guests desire guidance; share your intentions not only for the ceremony, but also in regards to the rehearsal dinner or other wedding-related events throughout the trip. Choose a high-quality garment bag in case you’re forced to keep your dress in an overhead bin. The ideal garment bag is large enough to accommodate the entirety of your gown — and light enough to keep your dress from getting weighed down. Breathable material is essential, but the garment bag should still protect your dress from outside threats. Check your flight’s carry-on limitations. Be prepared to pay extra to ensure your ability to bring your dress with you. Do not check anything you’d be devastated to lose in transit. See if your resort offers apparel services onsite. Many all-inclusive venues will help you freshen up your dress (and menswear) before you walk down the aisle. This service may even be already included in your wedding package! Be careful with handheld steamers. While this could be a viable option for removing creases, you’ll want to get familiar with your steamer well before you use it on your wedding dress. For minor wrinkling, you may have better luck taking a hot shower and hanging up your dress near the steam. Keep in mind, however, that steam could actually increase wrinkling for select fabrics. If you’re really worried about keeping your gown in tip-top shape, consider purchasing a separate airline ticket for transporting your wedding dress in its very own seat! There’s more to a destination wedding packing list than a beautiful white gown and suit. Your nuptials will occupy just a few hours of what could be several days or a full week abroad with your loved ones. Your celebration could also include a welcome party, rehearsal dinner, offsite excursion or even a send-off brunch. Pack accordingly for all activities (and relay the planned calendar of events to your guests too)! The right apparel can amplify your destination wedding adventure. Choose carefully, but don’t get too stressed — ultimately, your destination wedding is about way more than the attire. Any outfit that allows you to experience romantic bliss with the love of your life is the right one for you!